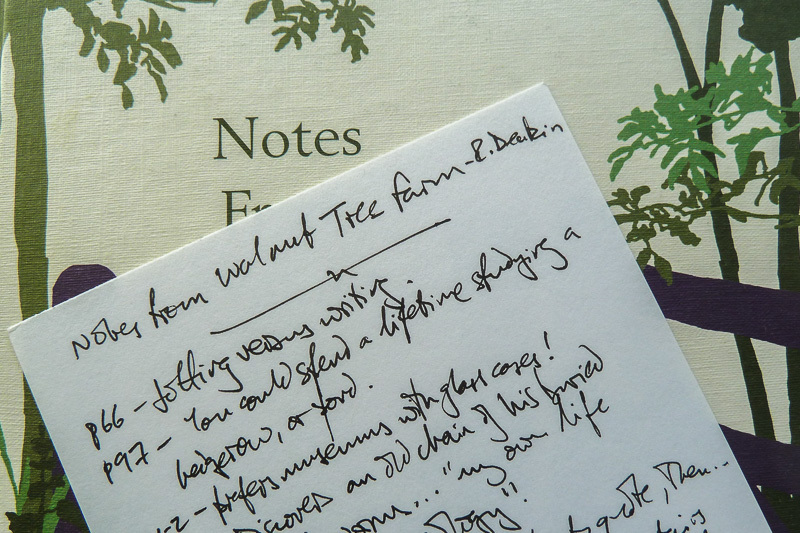 ‘Notes from Walnut Tree Farm’ is by far my favourite Roger Deakin book. His assembled notes and jottings are packed full of ideas. The signal-to-noise ratio is phenomenal. 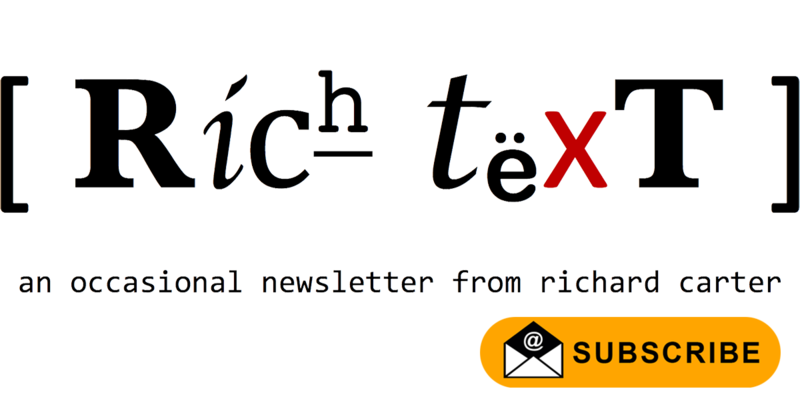 An occasional newsletter from Richard Carter… ‘Rich Text’: see what I did, there?